The lymphatic system ensures a continuous flow of interstitial fluid and cell transfer through the lymph nodes and into the blood circulation. In addition, lymphatic capillaries also play an important role in the egress of lymphocytes from secondary lymphoid tissues. The specialization of lymphatic endothelium and its synchronization with the local blood vessel formation are crucial for proper lymph node circulation. The embryonic appearance of lymphatic vessels on one hand is the result of a separate endothelial commitment but may also be initiated by nonendothelial cells under pathological conditions. 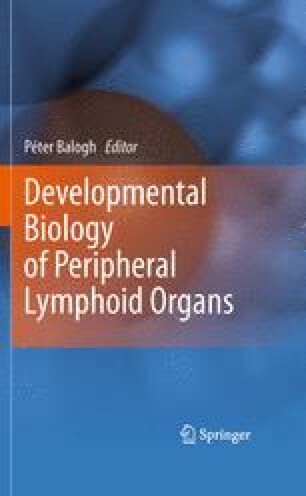 This chapter outlines those fate-determining events, transcription factors, and endothelial growth factors that are necessary for the establishment of lymphatic endothelium identity, and the relationship between the lymphatic vessel development and lymph node formation.